We have a student panel speaking to our fabulous MISD School Board on Tuesday night. Our Panthers are featuring Panther Privilege Time (PPT) and how PPT has been a positive thing for our students AND staff. Let's wish these 5 young adults luck as they represent us and make us proud! Don't forget Friday, April 19 is a bad-weather make-up day, so we do not have school April 19th. Enjoy the 3 day weekend! Eighth grade Algebra students will be taking the Algebra EOC on May 7th. Please do not make appointments or pick your child up during testing hours if your child is a test taker. Thank you to the parents who joined me for the last Principal Coffee Chat of the year. You guys are always insightful and fun-spirited. I really enjoy our time together and I value your feedback. Social media and cell phone usage continues to be a struggle for our teens. Being an ethical and kind citizen of the technology seems to be a challenge for many of our students. I encourage you to keep tabs on what apps and social sites to which your child is spending time. A parent shared a resource that I would like to pass along to our community. I am adding it to my summer reading list: Screen-Smart Parenting by Jodi Gold. Many issues that arise at school come from cover-over issues from "group texting," Snapchat rooms, and Instagram. Let's equip ourselves to help support our children and raise them to be amazing digital citizens. Happy reading! 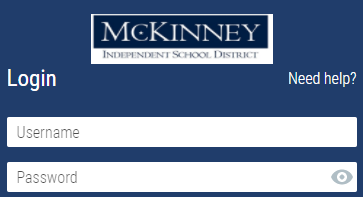 ​ For incoming 9th graders, there is a parent meeting regarding 1:1 laptops at McKinney Boyd High School on April 22nd. See our MISD website for further details. We will continue to collect non-perishable food items for our new Evans Food Pantry for the remainder of the year. We have boxes located in several areas near the main office. Thank you to everyone who has already given us a good start. It is our honor to host a luncheon to recognize your hard work and dedication to the staff and students at Evans Middle School! We would like to invite you to a luncheon on May 8th from 11:30-12:30 in the Evans Library. If you were a REACH Mentor, a Copy Mom, a Chaperone for a field trip, a PTO member, an Athletics Booster Club helper or in any other volunteer capacity here at Evans, we sincerely hope you will join us!! Please RSVP by April 30th. The Evans Middle School PTO will hold a general meeting to vote on the PTO Board for next year. All PTO members are invited to attend. Nominations will be accepted from the floor for all Board positions, followed immediately by a vote. This meeting will take place during the Staff Appreciation Pancake Breakfast, so please feel free to come by to say hi to our wonderful teachers and staff. Date/Time/Location: May 3, 8 am, in the Staff Lounge. re available at the customer service desk at any Kroger. Then each time you shop at Kroger, swipe your card or use the phone number related to your card. Then PTO will take the proceeds to help our students and staff! When you shop through AmazonSmile, Evans Middle School PTO will receive 0.5% of most purchases to fund programs, events, and grants at our school. To get started, designate Evans PTO as your charitable organization by going to https://smile.amazon.com/ch/57-1206927. Then every time you shop, start at smile.amazon.com and our school will benefit (at no cost to you!). Please share these ways to support Evans Middle School with friends. Thanks for your support! Your child may have already had these immunizations. Please provide the school nurse with a current list of your student's immunizations. Please make sure that your student receives any needed immunizations before the end of this school year. Click on panther eyes to access the most current EMS Friday newsletter. Any administrator, SRO, or school peace officer can refuse to allow, or may reject any person from property under the district’s control. If the person refuses to leave peacefully and either: 1) Poses a substantial risk of harm to any person; or 2) Behaves in a manner that is inappropriate for a school setting. A verbal warning is issued that the behavior is inappropriate and may result in refusal of entry, or ejection. If the person persists after the warning, the person may be refused entry or ejected.